States and international copyright laws. changed, without notice, in future editions. terms in the separate agreement shall control. result in personal injury or death. are fully understood and met. messages, and other common issues. troubleshoot. These lists are not intended for use in the development of new methods. 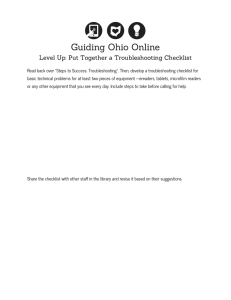 Proceed with troubleshooting under the assumption that method(s) are working properly. to calling Agilent for service. Observe the symptoms of the problem. Look up the symptoms in this manual using the Table of Contents or the Search tool. Review the list of possible causes of the symptom. tests, available from Diagnostics > Diagnostic Tests. Go to Logs and view the Run Log and System Log. A GC shutdown may cause an MS to shut down or otherwise protect itself. Venting an MS causes changes in the GC to support the venting process. An MS shutdown may cause the GC to change its settings to protect itself and the MS. The GC sleep/wake cycle triggers the MS and HS sleep/wake cycle (if available). A configured headspace sampler determines its timings based on the loaded GC method. instrument status messages as well as its own messages. reduced sensitivity, chromatographic errors, and possible safety concerns. it into the GC at the keypad. consumable parts can lead to unexpected results. split mode versus splitless mode, and the analysis. Keep the Automatic Liquid Sampler (ALS) configuration up-to-date to ensure proper operation. and poses a safety concern if too much of it is released into the air or into the GC oven. than what is actually being plumbed, incorrect flow rates will result. the desired component (the inlet or detector, for example). when a message no longer appears on the display. To access the logs, go to Logs and select the Run Log, System Log, or Maintenance Log. (GLP) standards and can be uploaded to an Agilent data system. maintenance was performed and for any condition found by instrument self-diagnostics. entries for system startup, firmware updates, and sequences. of the information listed below. • GC serial number, which can be found on the bottom right corner of the GC. The syringe plunger is sticking or is not securely connected to the plunger carrier. The plunger solenoid is binding. The plunger carrier encoder is inoperable. The autoinjector plunger carrier mechanism will not move. making sure to prime the syringe with solvent before installing. Remove the syringe and check it for plunger stickiness or binding. Check the viscosity of the sample against the viscosity parameter. Reset the viscosity parameter if necessary. Refer to your sampler operating documentation for additional information. Check for folds or wrinkles in the crimp cap, especially near the neck of the sample vial. Verify the transfer turret is installed if using a G4514A tray. Check sample labels (if applicable). • Check that they are the correct size. • Verify that the labels do not interfere with the gripper. label thickness shown in the figure below. Check that the tray vial racks are clean and snapped into the tray base. needle is sharp and may contain hazardous chemicals. Refer to your ALS documentation for additional information. Check that the GC septum nut is not too tight. Check that the syringe is installed correctly into the syringe carriage. deposits. Install a new needle support foot if necessary. If using the cool on-column inlet, check that the correct insert for the syringe is installed. needle should be approximately 126.5 mm. Check that the crimp cap is properly installed. Refer to your sampler documentation. A failed leakage current test usually indicates misassembly, contamination, or a damaged part. reassembled properly before troubleshooting detector problems. Replace the ceramic insulators. Retest. Turn off the bead and view the output (leakage current). Remove the bead and store in a safe place. Remove the three screws that secure the lid in place, then remove the lid. bent, or dirty. The interconnect spring should be touching the bottom of the collector. high, contact Agilent for service. Ensure the purity and quality of the gas. Verify that the Lit Offset is 2.0 pA.
light without changing the setpoints. then reduce them toward the method values. Experiment for the best values. clogged jet, a weak ignitor, or a leak at the column fitting. FID. (See “Checking for Leaks” ). greater than the sum of the column flow and makeup flow. Check for leaks at the FID column fitting. Ensure that the FID temperature is high enough for ignition (>150 °C). If the analysis permits, substitute nitrogen for helium as makeup. hydrogen, the FID flame will not be visible. Remove the detector top cover. Turn the FID flame On. • The ignitor must be tightly screwed into the FID castle assembly. • The three T-20 Torx screws that hold the collector assembly in place must be tight. • The brass knurled nut that holds the FID castle assembly in place must be tight. Perform FID maintenance if these parts are corroded or oxidized. performing maintenance on the FID. chlorinated solvents or samples, causes corrosion and sensitivity loss. To avoid corrosion, keep the detector temperature above 300 °C. Check that the FPD+ temperature is high enough for ignition (> 150 °C). Measure the actual detector flows. The column may be installed too high into the detector. Check that the FPD+ ignitor operates. 400 mL/min while trying to ignite to flame. If not, there is insufficient air supply pressure. Check the column and makeup flow rates. to light without changing the setpoints. software will not recognize that the flame is lit and will shut the detector down. removed. After lighting the flame, reinstall the vent tube. Inspect the jet to see if it is clogged. lower than the displayed flow, suspect a plugged jet. Check the condition of the bead. Replace if necessary. Verify that the flow settings are correct. Verify that the flow settings are correct and appropriate. Check the condition of the bead. or makeup flows are zero or much lower than the displayed flow, suspect a plugged jet. set the emission block temperature to its highest value (165 °C). (near 400 °C), set the emission block temperature to at least 150 °C. defective. Normally, this fault prevents the GC from becoming ready and starting a run. detector until the device is repaired. ignored, for example, injection devices such as a switching valve or automatic liquid sampler. same task may be performed from a data system method editor. You can now use the GC until the device is repaired. Run replicates of known standards to verify the problem. Verify that you are using the correct liner type for the sample being injected. Check sample level in vials. for Leaks in a Split/Splitless Inlet or To Manually Check for Leaks in a Multimode Inlet. disappears, the problem may be either in the sample or solvent-related. contamination disappears, the problem is in the syringe. contamination remains, the problem is in the detector. Check the septum type and installation. The vial septum may be dissolving in the sample. drop pieces into the sample, causing contamination and ghost peaks. Perform complete inlet maintenance: Replace all consumable parts and bake out the inlet. see if the ghost peaks go away or get smaller. Check all gas trap indicators and dates. deposit onto the column and liner. Check for supply tubing and fitting contamination. If you suspect that there is contamination in the inlet, perform the bakeout procedure. Verify the operation of the inlets. Clean the inlet and replace the contaminated inlet parts. Check the solvent level in the ALS wash bottles. Replace the ALS syringe if necessary. to see if ghost peaks disappear. Some samples change with heat or ultraviolet light. Check the sample stability. column near the inlet, and reverse and bake out the column as needed. If you suspect that there is contamination in the column, perform the bakeout procedure. Install an Agilent column backflush system. If you suspect that there is contamination in the detector, perform the bakeout procedure. Verify the operation of the detectors. Replace the contaminated detector parts. sample. The cap should not rotate easily if installed properly. enter twice the labeled volume when configuring the syringe size. • Ensure that there is sample in the vial. • Verify that the ALS plunger carriage is secured to the syringe plunger. • Check that the syringe is installed correctly and draws sample. • Watch to see that the sample is pulled into the syringe. Verify the detector in use is assigned to a signal. Check the column for proper installation. Some samples change with heat or ultraviolet light. Check sample stability. Check the sample level in the vial. • Increase the viscosity delay time. • Dilute the sample in an appropriate low-viscosity solvent. • Turn the tower fan off. to warm the sample vial. If the problem is with the detector, see Table 2. • Verify that the electrometer is turned on. • Verify that the flame is still lit. • Verify that the filament is turned on. Verify that the electrometer is turned on. Inspect the column for bleed. Check gas supply oxygen trap indicator or date. Make solvent blank runs to evaluate baseline without sample. 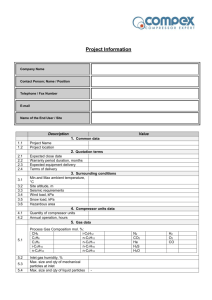 Prepare and use a column compensation profile. 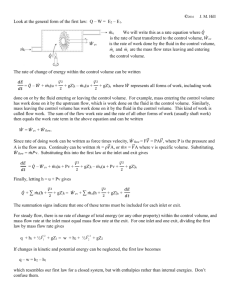 Set column flow to optimum linear velocity. Install and use deactivated consumable parts in the inlet (for example, a liner). Check column installation at both ends. Select a higher resolution column. Check the column for severe contamination. • If using a capillary column, remove 1/ 2 to 1 meter from the front of the column. • For bonded and cross-linked phases, solvent rinse the column. compounds. An active column usually produces tailing that increases with retention time. • 1 meter from the front of the column. Verify that the column was cut and installed properly. square cut using a reliable tool. • Use a new, deactivated liner. This only affects active compounds. • Clean or replace the inlet seal. For capillary splitless injection, consider compatibility between the solvent and column. early eluting peaks or those closest to the solvent front. • Use a 3 to 5 meter retention gap. depression or having sample in the syringe needle. Check for dead volume in the system. Check for correct column installation at both ends. connections, fused silica unions, and so forth. • A column installed too high into a detector or inlet can create dead volume areas. Verify that the correct jet is installed. Use an extended jet. consumable parts. See the Maintenance manual. Run standards against a known method to determine expected performance. other surface area packing to allow complete sample vaporization. Check column cut and installation into the inlet. Check liner type. Use a liner optimized for splitless analysis (deactivated, large volume). Verify that the oven starting temperature is less than the solvent boiling point. 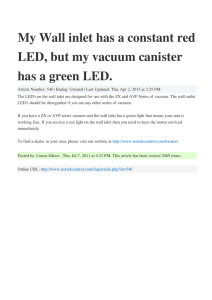 Check that the solvent vapor volume does not exceed the liner capacity. Check for air or water in the carrier gas; verify gas purity and functionality of traps. Verify that the liner is appropriate for the sample being run. Install a deactivated liner (if liner is used). Install an Agilent Direct Connect liner. Use a pulsed pressure method for quicker sample transfer to column. • Decrease injection volume, dilute the sample, and/or increase the split ratio. 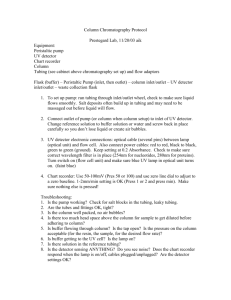 • Change the column type or film thickness. Ensure that the column is installed properly. If not, reinstall the column in the inlet. erratic plunger depression or having sample in the syringe needle. • Use a retention gap. points, a mixed sample solvent can cause peak fronting. Change the sample solvent. origin) and lower frequency components that are referred to as wander and drift. Wander is random in direction but at a lower frequency than the short-term electronic noise. problems. Some noise is inevitable with any detector, although high attenuations can mask it. Since noise limits useful detector sensitivity, it should be minimized. For the FID, see To Isolate the Cause of FID Noise. For the TCD, verify data collection at £ 5 Hz. Consider recent changes made to the system. where they cannot become contaminated. one is still available and still has some gas in it, try the older tank to see if noise decreases. most common with nitrogen carrier gas. Deal with a reliable gas supplier. a possible, though not very likely cause of noise since detectors are well protected. Switching off the air current source or shielding the detector exit identifies this problem. Install the TCD outlet restrictor (G1532-60070). Loose connections in the detector or its signal path generate noise. Verify proper reassembly after recent maintenance. Inspect the detector for contamination. Inspect the column and inlet for contamination. Inspect the FID or NPD jet for contamination. and ultimately noise will result. occurs along with increased noise level. to clean the detector regularly. dirty collector and insulator parts. Column installed too high into detector. Oven temperature exceeds column maximum recommended temperatures. since the last change in operating conditions. If experiencing baseline wander, check for leaks, especially at the septum and at the column. Also consider whether the oven temperature program is sufficient. Verify that the column is conditioned. Check column bleed while at operating temperature. Check the signal mode assigned to the column in the data system. equivalent column with a higher temperature limit is also possible. normally be noticed on the display; it will be noticed only on a plot or online trace. disappear at the same time. dioxide may break away and fall into the detection zone. For a packed column, check that the packed column exit is properly sealed with glass wool. but the flame detector is particularly susceptible because of the narrow bore of the jet. extends into the end of the column. If it touches a glass wool plug, spikes are produced. Check for the correct jet. Check that the detector temperature is not too low. possible hazardous exposure to radiation. peaks or humps that are not characteristic of the samples being injected. possibilities that contamination or leaks were introduced. suspect contamination, column degradation, or ultimately a bad ECD cell. values apply (Table 3). Figure 3 shows typical ECD life cycle stages. point. Signal still in “good” range. least 2 hours and up to 24 hours) before running the frequency test. condition new septa before use in an inlet for several hours with 1 to 5 mL/min carrier flow. Background = 100 Hz. Cell meets Agilent signal-to-noise (S/N) standard. Background = 180 Hz. Increased response. Background = 350 Hz. More response, increasing noise, lower S/N. Background > 500 Hz. Noisy baseline, negative peaks. Thermal cleaning required. Background > 1000 Hz. Huge response. Very noisy, cell contaminated. Requires cell exchange. Check all flow rates. See “Measuring FID, TCD, ECD, and FPD+ flows”. make a direct syringe injection of concentration similar to that introduced by the valve. Rule out a problem with the valve. gas supplies, supply gas traps, and the column. 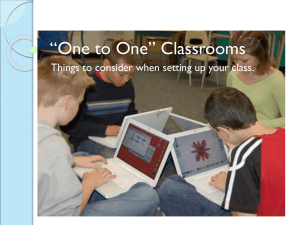 If using an inlet in split mode, check the split ratio. Manually Check for Leaks in a Multimode Inlet. Check each column and verify that it was cut and installed properly at each end. Verify that the column type is correct. Verify that the liner type is appropriate for the sample. Verify that the detector flow settings are correct. Check the supply gas purity. Check all trap indicators and dates. Verify that the method parameters are correct. sudden change, check for detector contamination. Bakeout the detector. Verify that the correct jet is installed. Check for a dirty jet. Check for contaminated detector parts. Replace the fused silica indented mixing liner. Clean the makeup gas adapter. Check the detector for contamination. Check that the correct filter is installed and is clean. Check the makeup gas type. reduce contamination buildup, Agilent recommends using the detector at 300 °C or higher. following procedure checks for causes of low sensitivity by frequency of occurrence. Wander, Drift, and Baseline Spikes”. The general rule is 1:1 flow ratio of hydrogen to (column + makeup gas). becoming plugged. See “To Check for a Plugged FID Jet”. Replace the jet. the way to the tip and withdrawn 1–2 mm (column id > 100 µm). time. Make sure the sample is not being inadvertently vented. completed. See the Maintenance manual and “Checking for Leaks”. Perform complete FID maintenance. Disassemble the FID and clean or replace all parts. The following is an example chromatogram showing a flameout from a large solvent peak. See if an aromatic solvent peak or water extinguished the flame. Check for a plugged jet. Verify that the gas flow settings are correct. Verify that Lit offset is set appropriately. Verify that the FID Lit offset setting is appropriate for the run (typically 2.0 pA). Check to see if an aromatic peak or water extinguished the flame. detector. (See “To Measure a Detector Flow”.) Replace the jet as needed. cool) and checking the detector output. Check the gas supply trap indicators/dates and ensure that the traps are not expended. Verify that the detector was reassembled properly after recent maintenance. Inspect the detector for contamination. Bake out the detector. Disassemble the collector assembly and visually check for rust buildup on any parts. Replace parts as needed. To avoid this problem, operate the detector at >300 °C. Check for carbonization in the detector due to injection or aromatic or chlorinated solvents. mL/min, hydrogen at 35 mL/min). FPD+: Verify the transfer line temperature is set  200 °C. Verify that the Lit offset setting is lower than the normal baseline. gone out. As a result, the run aborts and the GC tries to relight an already-lit flame. wrench) over the exit tube. Condensation on the surface indicates that the flame is lit. Reset the Lit offset to 2.0.
emitted by the sulfur species is absorbed by some CO2 species. state (inactivated) species reabsorbs the emitted photon, preventing it from reaching the PMT. or phosphorus as well as those that do not but may absorb light. 2 Run the analysis on the FPD+. 3 Modify the method so that the peak of interest is separate from the rest of the peaks. sulfur-optimized flows or a sulfur filter with phosphorus-optimized flows. Check the position of the column as installed in the detector. and the gas flows in use do not match. If the output is 0.5 to 3.0, check that the flame is ON. Verify that the column is installed properly. Consider the filter type (sulfur or phosphorus). Verify that the method settings are appropriate. Check the actual injection volume; reduce if necessary. Verify that the liner is not reacting with the sample. Check for light leaks at the photomultiplier tube (PMT); tighten the PMT if it is loose. Perform column maintenance: Bake out contaminants as needed. checkout method. This raises the baseline but with some loss in the signal-to-noise ratio. operating or servicing the instrument. Turn hydrogen off/on around the solvent peak. Use nitrogen as the makeup gas. Set the total column flow and makeup gas to less than 10 mL/min. Increase the air flow by 10 mL/min. Increase the detector temperature to 325 °C. Implement an Agilent Dean’s switch solvent vent solution. makeup gas at a flow rate of 5 mL/min. Check for a partially plugged jet. See To Check for a Plugged FID Jet. bead and look for a sudden sharp increase in output, which indicates that ignition occurred. Mode > Detectors > Signal), the bead is probably burned out. Replace the bead. as safety glasses or a mirror when checking to see if the bead is glowing. Check for liquid phase contamination (polar phases). Verify that the hydrogen flow is correct (< 3 mL/min). Inspect the bead; it may be defective or expended. Replace the collector and insulators. Verify that the correct gas type is being used. Consider thermal conductivity of analytes relative to carrier. Wrong data rate is selected in the data system. For TCD, the data rate should be  5 Hz. Upgrade the detector to a passivated filament. 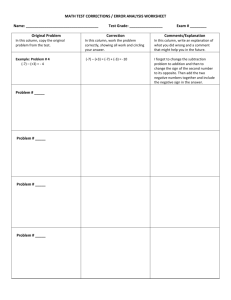 Check for a sampler problem. Check for a data system problem. • To turn off gas saver. , see the Agilent 8890 GC Operation Manual. Check the supply gas for sufficient delivery pressure. Check the restrictors installed in the Aux EPC module (if applicable). 1 Decrease oven temperature by at least 20 degrees. operating. The figure below illustrates the location of the two oven flaps. If the flaps are not operating smoothly, contact Agilent for service. Check for sufficient cryo coolant. Check if operating limits have been exceeded. Select Diagnostics to check for errors to report to Agilent. 1 Increase oven temperature by at least 20 degrees. the location of the two oven flaps. Check for a missing insulation cup on an inlet or detector. Check for a very large temperature difference between the oven and inlet or detector. Check for missing insulation around the inlet or detector. • Check cryo coolant level. not reach its desired temperature. Check that a capillary column is configured to the correct inlet. Check the configured column dimensions. Check that the flow is turned on. least 10 psi greater than the desired setpoint. to check the column—a broken column is a very large leak. Multimode Inlet” or “To Manually Check for Leaks in a Split/Splitless Inlet” . highest column-head pressure used during a run. Check for an incorrectly installed column. 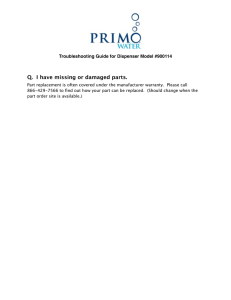 Check for a defective inlet or detector pressure sensor. Check the split ratio. Increase the amount of split flow. Replace the split vent filter. See the procedure for the SS, MMI, PTV, or VI. vent restriction test in Agilent Instrument Utilities, if available, or from the GC front panel. Replace the split vent tube and trap. See the Service manual. Verify that the correct liner is selected (if liner is used). available on the GC. See Table 5. Check the gold seal on the split/splitless inlet for contamination. Check for a misaligned rotor.If necessary, align the rotor. Check if the gas purifier or gas generator is operating at or near capacity. regulator to smooth out fluctuations caused by gas generators. Check for large restrictions in the inlet liner or split vent trap. temperature problem or move the instrument to a more suitable location. Verify Auto Flow Zero feature is On. Consider using a liner designed for split analysis. carrier gas type. See Table 5. Check for a plugged liner. For the split/splitless inlet, replace gold seal. Verify that the measured flows are corrected to 25 °C and 1 atmosphere. example, 15 to 30 m). Split Vent Restriction Test” . sensor for the flow module. If this does not solve the problem, replace the flow module. The ignitor may be bad; replace the ignitor. Check for a column fitting leak at the detector base. Replace the FID or NPD jet. makeup flows are zero or much lower than the displayed flow, suspect a plugged jet. Troubleshooting depends on the type of valve. than +16.5 V. All valves are disabled to prevent improper operation. When full voltage is restored, the GC becomes ready. becomes ready when the specified load or inject time has passed. valve will never become ready. shutdown with Illegal Position or Not Switching shutdown errors. valve to switch. Increase the switching time. Displays Front inlet pressure shutdown. Turns off to avoid column damage. Opens oven flaps in the back of the oven halfway. the septum purge and column flows for a split/splitless inlet would turn off. Turns off all other heaters. When viewed, their temperature parameters flash Off. Attempts to turn on a shut-down zone fail with an error message. Turns off the TCD filament. Turns off the FID or FPD+ ignitor, and the air and fuel gas flows. Turns off the NPD bead, and air and fuel gas flows. To recover from this state. Agilent GC, GC/MS, and ALS Site Preparation Guide. • Check for a broken column near the inlet. • Replace the inlet septum. • Replace the inlet O-ring. • Check the supply pressure. hydrogen can form explosive mixtures. exists. It will warn you with a beep after 25 seconds, and it will continue to beep in intervals. Opens the split vent valves in the split/splitless and PTV inlets. Turns off the oven heater and fan and opens the oven flaps. as valve box heaters and transfer line heaters). configured so that the GC is aware of them. • Replace the inlet septum. See the Maintenance manual. • Replace the inlet O-ring. See the Maintenance manual. • Check for broken column. recommendations listed in the Agilent GC, GC/MS, and ALS Site Preparation Guide. • Check the system for leaks. See Leak Check Tips. the oven (about 25 % of the lower explosive limit for hydrogen). associated detector will be turned Off. 690–827 kPa (100–120 psi). See the Agilent GC, GC/MS, and ALS Site Preparation Guide. Turning off the column oven. Setting low pressures/flows for the MS flow path. Turning off hydrogen carrier gas flow, if used. Turning off the MS transfer line heater. react differently to a communications loss than to a failure in the MS high vacuum pump. • The GC cannot maintain carrier flow into the MS.
• The MS reports a shutdown or fault. • The GC and MS lose communications with each other. Check the current communications status. a Select Settings > Configuration > Detectors. match in all three places. c Check the GC and MS LAN connections. Is the LAN switch or hub operating? b The Enable Communication checkbox should be checked. changes are blocked). Instead, clear this state by disabling GC to MS communications. Select Settings > Configuration > Detectors. Select the Enable Communication checkbox to uncheck it. After resolving the GC or MS problem, always restore GC to MS communications. Select the Enable Communication checkbox to check it. temperature range (lower than minimum temperature or higher than maximum temperature). A problem with the electrical supply to the instrument. A malfunction of the zone control electronics. • Check for missing insulation. Most thermal shutdowns can be cleared by shutting off the thermal zone. If the ping test is successful, check the software configuration. computer is connected to the GC, its network name will appear below the Enable DHCP line. Verify the IP address, subnet mask, and gateway addresses. Check for a defective LAN card in the PC. First, check that GC to MS (or GC to HS) communications are enabled. b Scroll to the Enable Communication checkbox. a Select Settings > Configuration > Headspace. If the Enable communication checkbox is not checked, select it. found by going to Settings > System Settings > Network. 5977A, 7000C, 7010: Check that the MS or HS IP address is correctly entered into the GC. Compare this entry with the IP address shown on the MS or HS display. 5977B: Check that the MS IP address is correctly entered where needed. addresses entered into the MS. They must exactly match those entered into the GC. If using a HS, use the HS keypad to check the HS and GC IP addresses entered into the HS. They must exactly match those entered into the GC. supply shutoff valves, and connections to the GC supply fittings. connections between flow modules and inlets/detectors. measure gases individually. Always turn off detectors to prevent flame/bead autoignition. Hazardous sample gases may be present. Check any potential leak points associated with any maintenance recently performed. • Start by checking any newly made connections first. Perform a pressure drop test. Set the regulator pressure to 415 kPa (60 psi). Fully turn the regulator pressure adjustment knob counterclockwise to shut the valve. decay test can be considered leak free. For capillary flow fittings, a leak usually indicates that the fitting has been overtightened. trim the column end, and install it again. Also inspect the plate and connection for a broken column tip. may require more robust leak testing. after maintenance should be about the same as it was before maintenance. Run the Split Vent Restriction Test” . Check the plugged column fitting and septum purge cap. Check the septum head. Tighten if needed. Replace the septum if necessary. Inspect and re-install the liner if it is leaking. Tighten the split vent trap if needed, or install a new cartridge and O-rings. Tighten the split vent line connection to the inlet. The pressure decay test checks for leaks from the inlet flow module up to the column fitting. column connection, and so forth. Select Diagnostics > Diagnostic Tests > Inlets. Follow the instructions presented on the LUI. After the inlet passes the test, restore the GC to operating condition. • Restore the correct column configuration. • Load the operating method. procedures below based on the inlet’s symptoms. highest pressure used in the method. If the pressure remains low, continue with the next step. Alternately, use an electronic leak detector to check these fittings/connections. If these checks do not resolve the problem, contact Agilent for service. inlet, or detector is hot, wear heat-resistant gloves to protect your hands. and isolate a small leak as described below. detect using that test. Use an electronic leak detector to check the fittings/connections. Check the caps/plugs used in the test—make sure each is correctly installed and tight. of the part(s) handled during the maintenance. Check the tightness of the septum nut. Check the septum. Replace if old or damaged. Check the insert assembly installation. Check the liner and liner O-ring. If you changed the gold seal, verify correct installation. Make sure the inlet temperature remained constant during the test. GC will shut down in approximately 5.5 minutes if the inlet cannot pressurize and control. Leaks” ). The inlet requires 70 kPa (10 psi) above the highest pressure used in the method. low, continue with the next step. If these checks do not resolve the problem, continue with the next steps. Turn the inlet temperature Off and allow the inlet to cool. Put the inlet into Split mode. Set the inlet pressure to 25 psi and the total flow to 400 mL/min. Remove the insert weldment and hold a septum tightly over the underside opening. leak is somewhere in the inlet body or split vent. Continue with step 9.
the flow module. Continue with step 9. Check for leaks in the insert weldment and associated tubing. properly and that the knurled nut is secure. 10 After resolving the problem, perform an inlet pressure decay test. for and isolate a small leak as described below. check other possible causes for the low sensitivity or poor repeatability. If the problem continues, the leak may be small. Use an electronic leak detector to check the fittings/connections. Use the Inlet Pressure Decay Test to determine if a purged/packed inlet is leaking. Tighten the septum nut/Merlin cap. Replace the septum or Merlin Microseal. Tighten the top insert weldment. Replace the liner. Replace the O-ring and tighten the column adapter connection. Re-install if needed. Check the plugged column fitting and the septum purge cap. Check that the top insert weldment is installed tightly. Also check the glass insert. Replace the ferrule seal on the adapter. 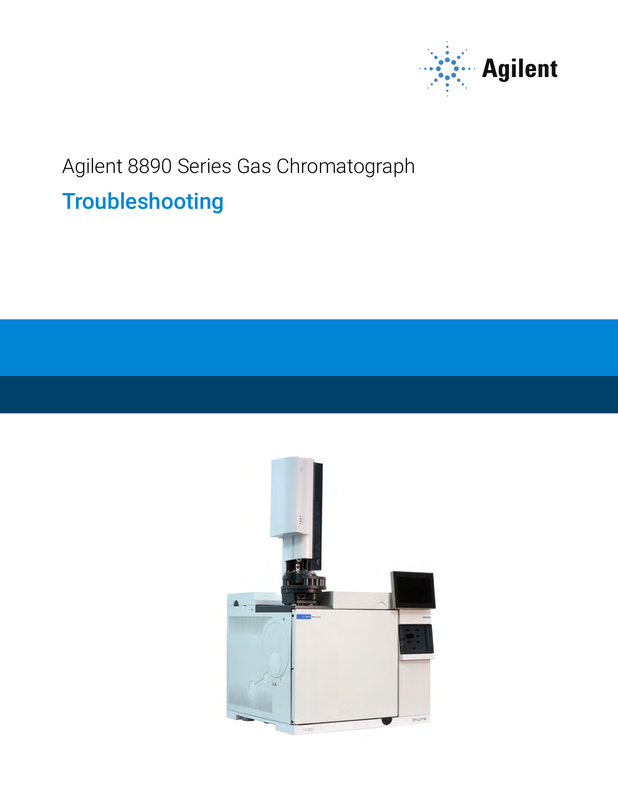 If these items do not resolve the problem, contact Agilent for service. Check the tightness of the septum nut or cooling tower assembly. If using a septum head, check the tightness of the septum nut. If using a septum head, check the septum. Replace if old or damaged. Check that the septumless- or septum- head assembly is installed tightly. Replace the liner and Graphpak 3D ferrule. reinstall the adapter if needed. ferrule in the guide cap. If these items not resolve the problem, contact Agilent for service. The caps and plugs used in the test—make sure each is correctly installed and tight. The split vent and pressure sensing connections at the interface. The sampler connection to the interface. The following procedure is used to measure column flow with an FID, TCD, ECD, or FPD+. heat-resistant gloves to protect your hands. Turn off the detector flows. Connect the appropriate adapter to the detector exhaust. A 1/8-in rubber adapter tube attaches directly to a ECD or TCD exhaust vent. between the detector exhaust and the flowmeter tubing. Connect the flowmeter to the flowmeter adapter to measure flow rates. Cool the NPD to 100 °C. Remove the bead and store it carefully until reinstallation. Insert the NPD flowmeter adapter tool into the NPD collector. Attach the flow-measuring insert to the NPD flowmeter adapter tool. Place the flowmeter tubing over the flow-measuring insert to begin measuring flows. GC. See the figure below. To measure split vent or septum purge flows, attach the flowmeter to the appropriate tube. Remove the GC pneumatics cover to access the back inlet exhausts. leaking around the threads, which would cause an incorrect flow reading. The septum purge is a 1/8-in tube. Use the red rubber adapter shown to measure flows. A plugged jet (FID, NPD). A pressure sensor that needs to be zeroed. An EPC valve that is not operating correctly. To isolate the problem, compare the flow of one channel of gas against the actual flow rate. To avoid damaging the column, cool the oven before turning off the column flow. Set the oven temperature to ambient (35 °C). Turn off the column flow and pressure. Shut off all detector gases. Turn off the FID flame, FPD+ flame, or TCD filament (as applicable). A rubber adapter tube attaches directly to a ECD, or TCD exhaust vent. Connect the flowmeter to the flowmeter adapter. Measure the actual flow rate of each gas one at a time. flow setpoint, or the default 400 mL/min used by Agilent to compare “typical” values. trap needs to be replaced before it impacts your chromatography. Therefore, the actual measured value will vary between different setups and from GC to GC. Select Split Vent Restriction Test. Follow the instructions that appear on the LUI. Select Settings > Configuration > Detector. Tap the Lit offset value to show a keypad. Use the keypad to input the desired value. Lit offset should be < 2.0 pA or lower than the normal FID output when lit. Select Apply to save your changes. exhaust. Steady condensation indicates that the flame is lit. Typically the FID output will be between 5.0 and 20.0 pA when lit and < 2.0 pA when not lit. Inspect the jet for contamination. Verify that the jet is installed correctly. Check the column connections for leaks. • Make sure flows are acceptable for ignition. • Heat the detector to operating temperature or to 300 °C. Turn off the FID flame. Verify that the FID electrometer is on. Select Method > Detectors, then scroll until Detector Specifics is visible. Verify that the output is stable and < 1.0 pA.
With the column installed, load your checkout method. Set the oven temperature to 35 °C. contamination is isolated to the detector, bakeout the FID. Drift, and Baseline Spikes” . detector fails the noise test, then troubleshoot the cause as described below. makeup flow to "Off". If it passes, suspect contaminated makeup gas. If the noise test still fails, see To Measure FID Leakage Current. with spring, and/or the entire FID electrometer assembly. when lit is >20 pA.
Set the NPD Adjust Offset to Off and turn off the bead. • Leave the NPD at operating temperature. • Leave flows on or off. Verify that the output (leakage current) is stable and < 1.0 pA.
picoamp. Current > 2.0pA indicates a problem. Makeup and Capillary carrier flows will be lower than the values indicated by the GC. the jet for contamination. If plugged, replace the jet. fixed restriction. A plugged jet will cause inaccurate flow readings. Measuring NPD flows.) If the flows are lower than the displayed values, replace the jet. Hot exhaust! Detector exhaust is hot and can cause burns. between 5.0 and 50.0 pA. Remove the rubber drip tube from the detector vent. means that the flame is lit. Lit offset should be < 2.0 pA or lower than the normal FPD+ output when lit. contamination. This color change tells the analyst it is time to change traps. remaining 0.005% is all oxygen, you should have 39 mL, or about 56 mg of O2 in the tank. change traps too early rather than too late. become ready, or may go into a shutdown state to protect itself or prevent a safety hazard. Select Settings > Congifuration, then select the element. Deselect the Enable checkbox in the Readiness field. To consider a device’s readiness, set Ignore Ready to False. Q. I have missing or damaged parts.